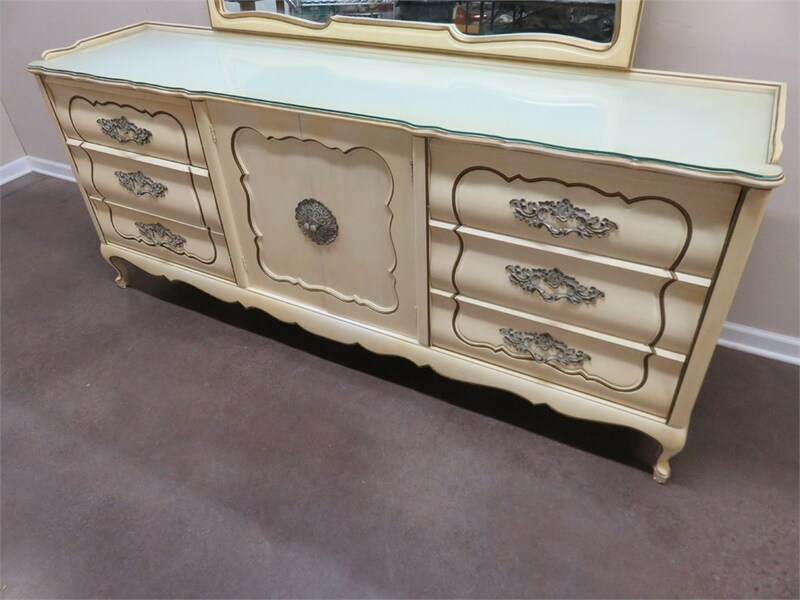 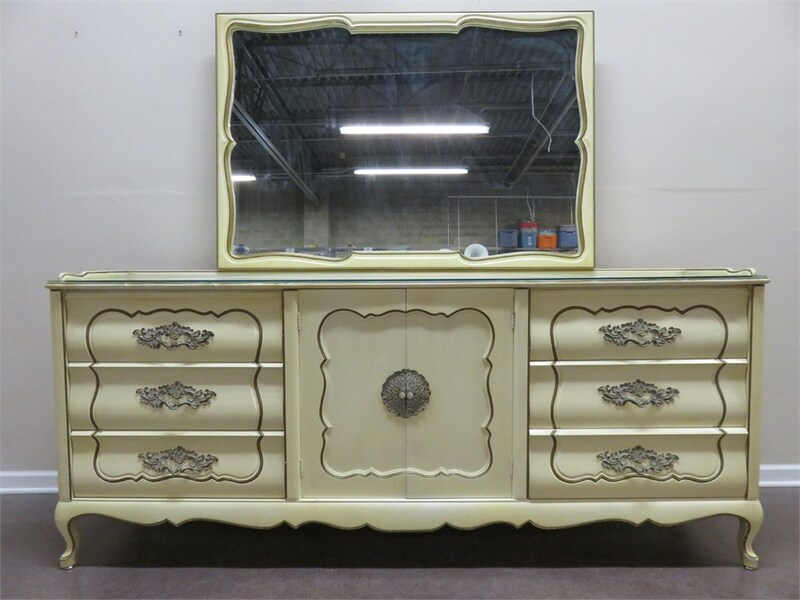 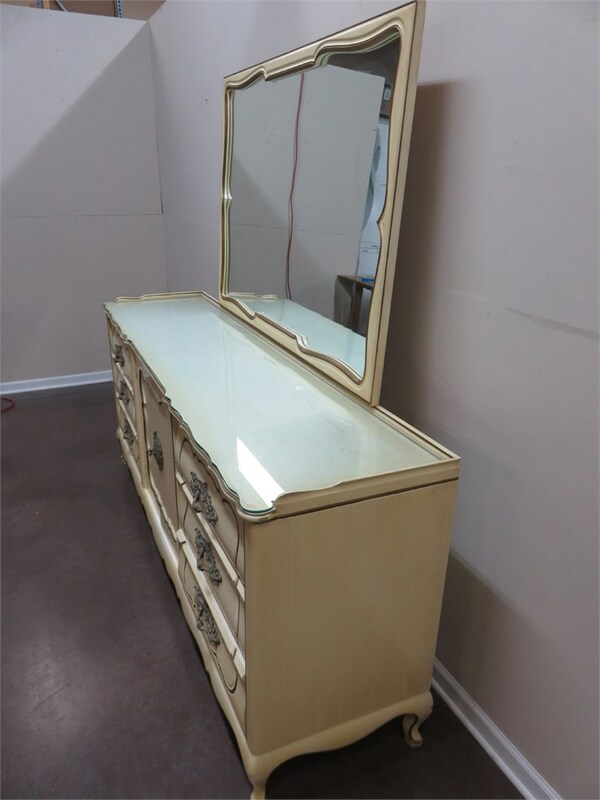 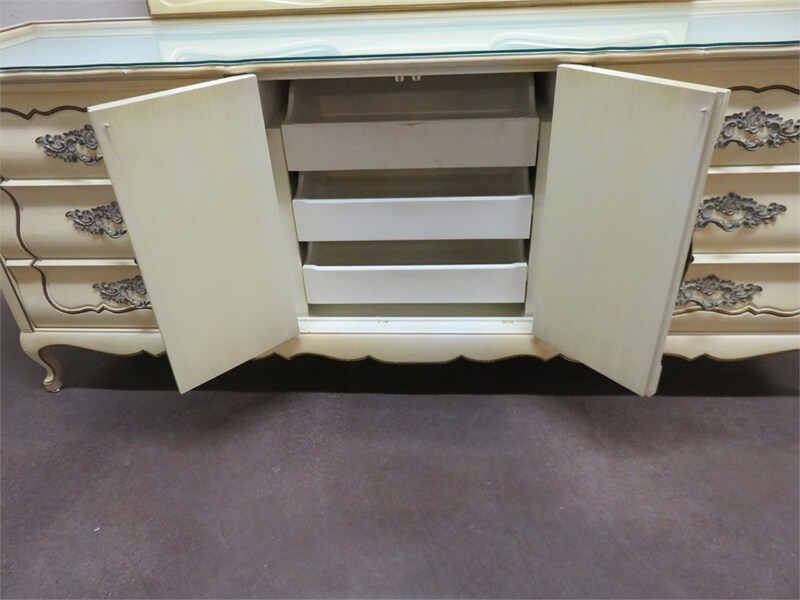 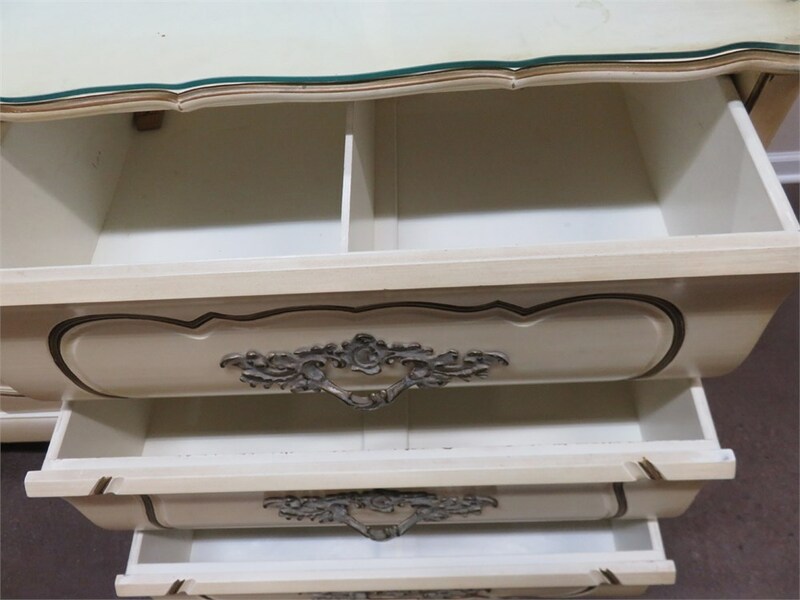 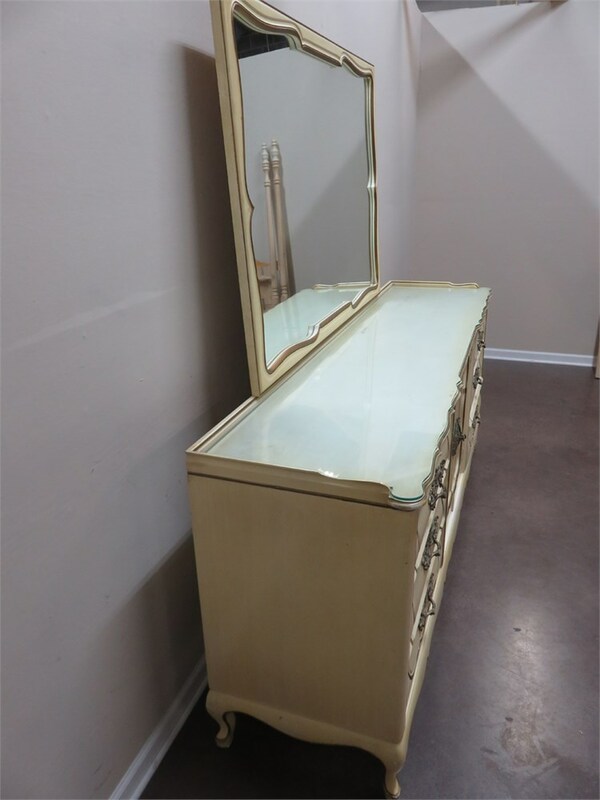 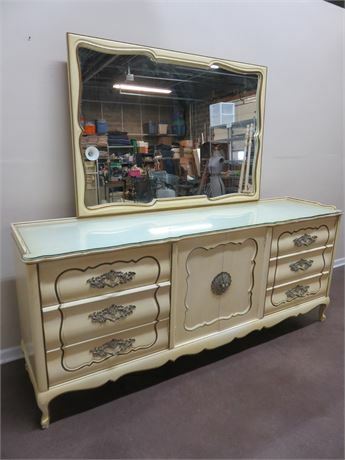 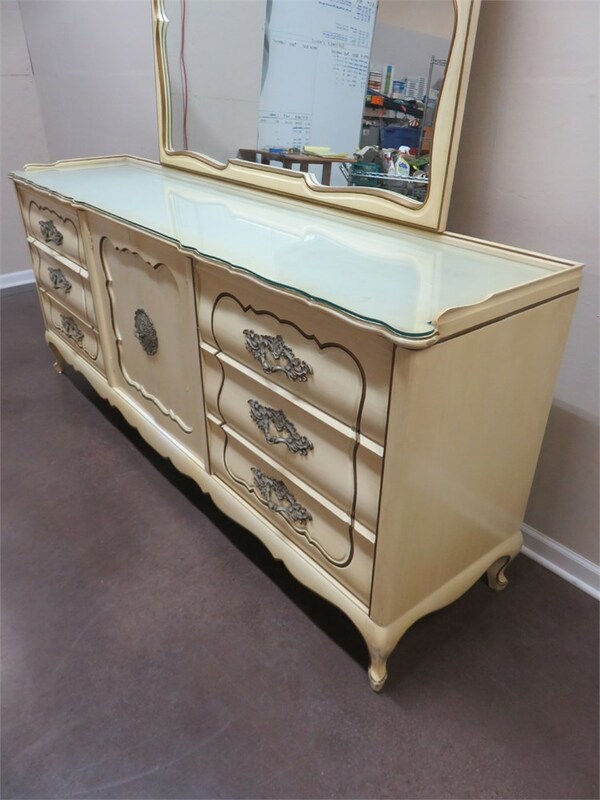 A vintage Ecker-Shane French Provincial triple dresser and mirror with scalloped top edge and protective glass. 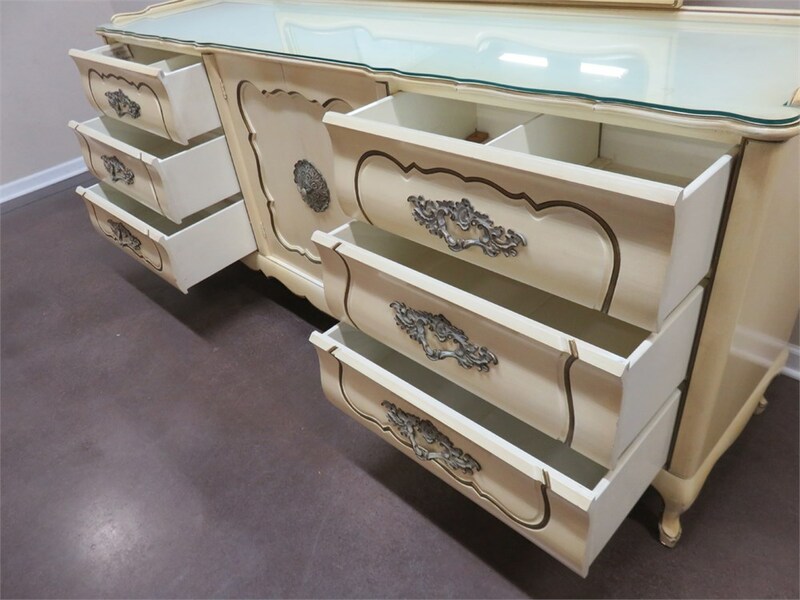 Ornate drawer pulls and cabriole legs give this dresser an elegant flair. 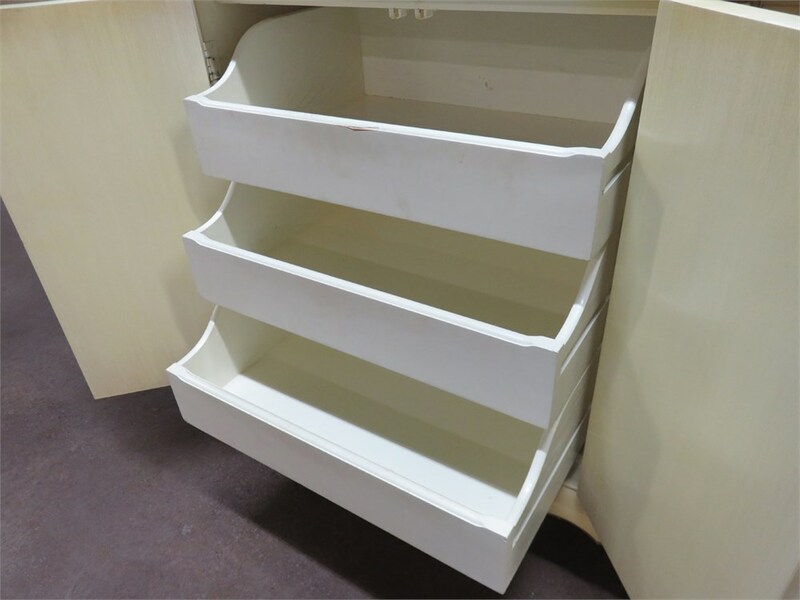 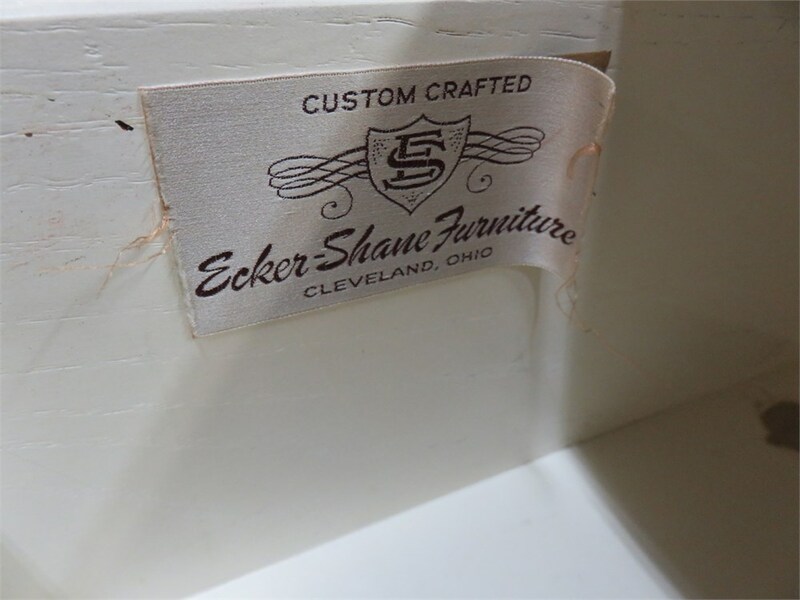 A matching set of nightstands are listed in lots #16 and #17.